Results from an HR survey aimed at senior maritime executives show the contradictory nature of recruitment for the hard-pressed shipping industry. 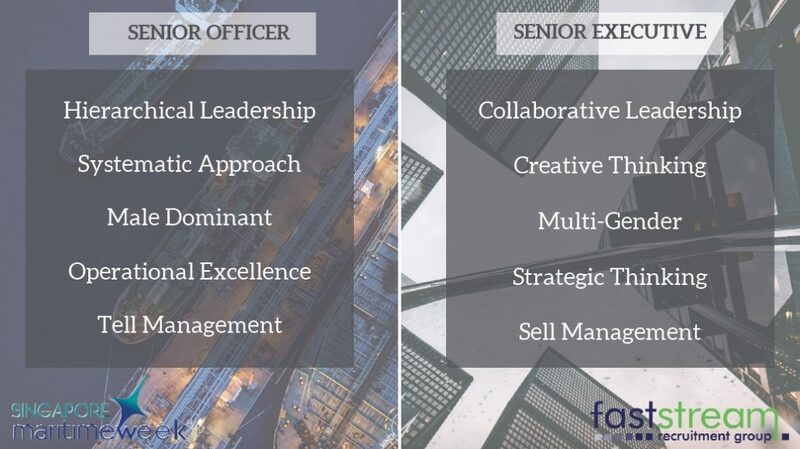 UK HR firm Faststream surveyed 2,000 people in January this year and the results clearly highlight the envy many in senior positions have of other industries such as tech and finance. 76% of those polled said more talent should come from outside maritime, citing sectors such as finance, energy, oil and gas, aviation, technology and engineering. However, 67% of respondents reckoned maritime does not pay enough to compete for talent from other sectors. Moreover, 68% of respondents said they think that pay in maritime will be static for the next two years. The tough financial climate shipping has faced in recent years was evident in many of the responses to the 35 questions posed by Faststream. For instance, 50% said over the last two years they had been worried about their own job security, while two-thirds of respondents said they are planning or considering changing jobs in the next two years with, perhaps most alarmingly, more than one in five senior maritime official polled saying they would leave the sector if they could. Presenting the results at a breakfast on the sidelines of Sea Asia in Singapore this morning, Mark Charman, Faststream’s CEO and founder, said that those thinking they might be better remunerated by switching to a different industry all toghether could be in for a disappointment. “It’s a perception thing. If I work in aviation or oil and gas I’ll earn a lot more. The reality of that I’m not so sure. The gap with the other sectors is actually quite narrow,” Charman said. Other key findings from the poll, of whom one in two surveyed had been at sea, found that 76% of respondents felt that mariners do not make the best leaders with Charman then presenting a slide (see below) of the different charactertistics needed for those at sea and in the office. “We can see there are some big differences between being a senior officer to being a senior executive,” Charman said. They think that pay in the maritime sector will be static for the next two years………It has already been static for the last 10 years and is falling in most positions where people are replaced with new hires. In fact, taking into account inflation, pay has been dropping steadily in shipping. Add to that the fact that just about every other industry outside the public sector has seen 3, 4, 5 or more percentage annual increases then it is easy to see where new entrants will go. Apart from the pay gap there is also the perception that other sectors are more reliable (which is not always true) and that other sectors provide better training, better advancement prospects, have less silo mentality and are less hide-bound in their attitude towards technology and modernisation. On top of everything shipping is often run in an opaque family or private atmosphere whereas aviation, tech or other businesses are more corporate and transparent. Many of these shipping negatives are positive for some at the top and open opportunities but, like most things in life, you have to be in the right place at the right time to benefit. Shipping is not short of cash but the distribution of the cash that is available is far from equitable and also not fairly distributed on the basis of talent or potential. Pay has gone down in shipping in most of the sectors in the last ten years except for maybe in gas. And shipping is not as cash strapped as they would want us to believe. Take for example the case of Maersk. It had enough cash for big acquisitions like that of Hamburg Sud but then presents a sorry picture of itself when it comes to employee renumeration or training.